Dark under-eye circles most certainly mar an otherwise pretty or handsome face. These circles or shadows under the eyes afflict most of us at some point or the other in our lives. For some they can be chronic , which could be genetic. For such , concealers are the only option. In some others , dark under-eye circles are a result of allergies , fatigue , stress , lack of sleep , consumption of alcohol , exposure to sun , ageing , trauma in the form of invasive medical procedures and certain drugs or smoking. For the latter , help is at hand in the form of CERNOR XO cream. Why dark circles at all ? Because the skin around the eyes , the peri-orbital skin is thinner , 0.5 mm as compared to 2 mm on most of the rest of our bodies. Hence , the blood vessels show more clearly than anywhere else. Now , our skin normally lets only blue/violet light pass through it – only blue light is reflected and therefore , the tiny veins look bluish. So now you know those dark , bluish circles are caused by light being reflected back through thin skin. And when due to stress , fatigue , lack of sleep , allergies and the like , the tiny veins tend to enlarge under pressure and sometimes leak ( not a serious condition normally which is also temporary) , they accentuate the dark tint. 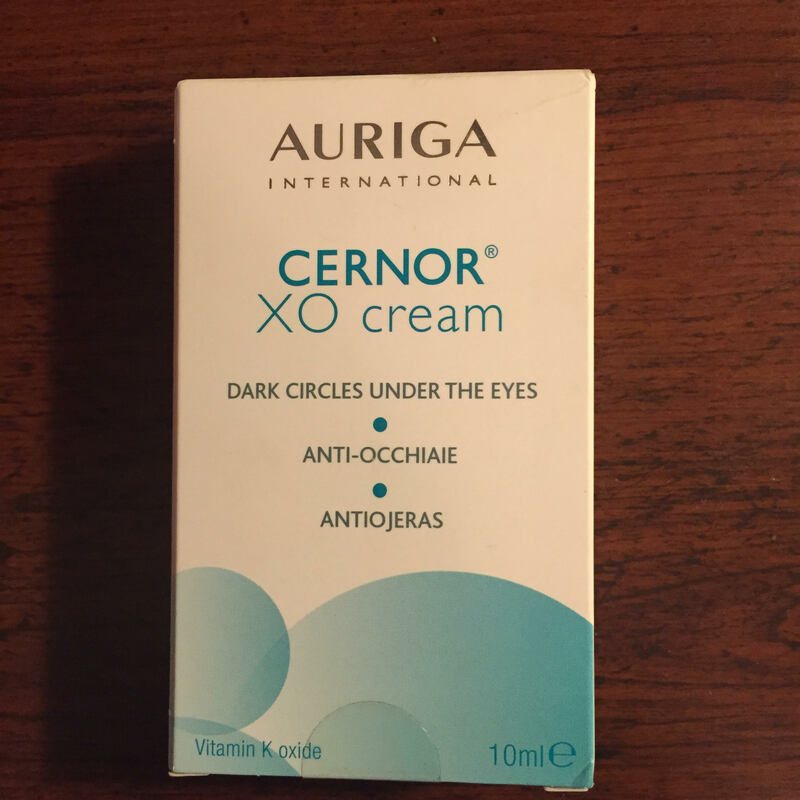 CERNOR XO cream is developed exclusively by Auriga International , reputed for the latest dermato-cosmetic know-how , to combat dark circles under the eyes. However , it is important at all times to consult a medical expert specialized in dermatology before starting any application. 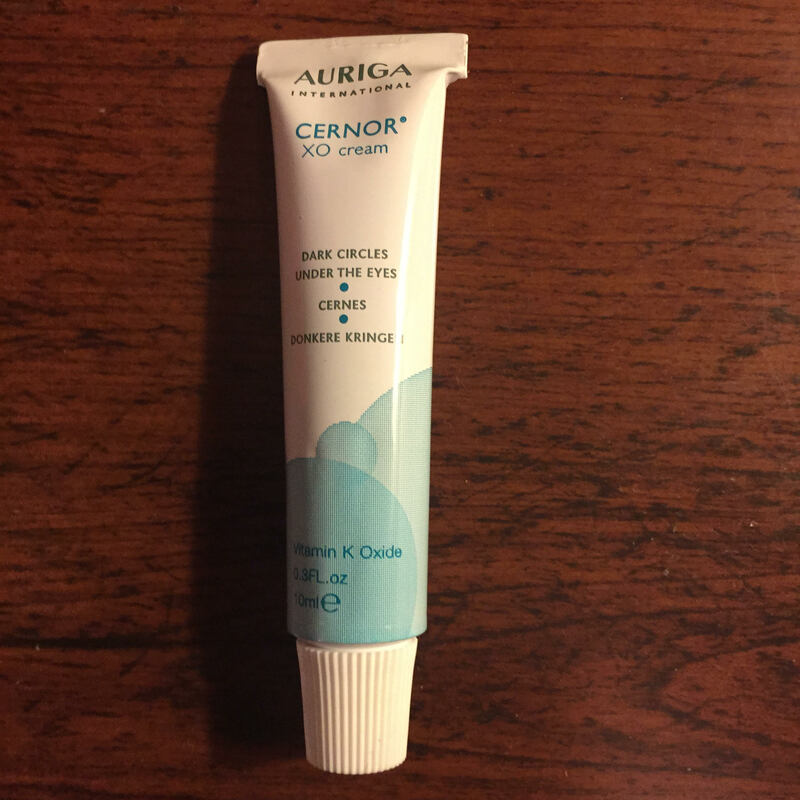 How does CERNOR XO cream work ? CERNOR XO’s star ingredient Vitamin K oxide helps in strengthening and protecting the capillary walls of the skin under the eyes making them more impermeable , and hence avoid leaking. It also helps in shrinking enlarged veins to their original size. Additionally the cream contains light reflecting minerals that minimise the bluish tint. Vitamin K oxide is also believed to help increase elasticity of the skin , making it supple and giving it a firmer appearance. The nanosomes present in the vitamin aid in effective delivery of active ingredients of the vitamins and sun-protection compounds to deeper layers of the skin. Vitamin K oxide is also known to have a curative action and can smoothen out fine wrinkles around the eyes. Apply on damp skin preferably morning and at bedtime. A 10 ml tube costs INR 1800 approximately. We have now seen dark circles are not an emergency , yet the very appearance of those can stunt one’s confidence. While medicated or cosmetic applications are a handy remedy , good lifestyle is a better tool to keep them at bay. And that boils down to right eating , right exercising and good sleeping habits. Let me take you back to my earlier article on the ABC Miracle Juice that helps greatly in rejuvenating tired eyes and adding a dash of radiance to them. Consult your dermatologist for this product , CERNOR XO . It’s always advisable to cultivate a derma specialist just like we all have our family physicians . If you do decide to use it , I would still recommend ( as would a dermato-cosmetologist ) using a good sunscreen before stepping out into the sun. This product has helped me a lot. I would like to know if any others out there have benefitted from it too.